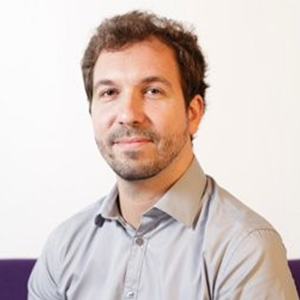 Lionel Rudant is currently Strategic Marketing Manager at Leti. He draws up innovation strategies for conquering 5G markets through key enabling technologies that unleash innovative business. He has successfully transferred Leti wireless technologies to automotive, aeronautics, manufacturing and consumer electronics industries. He works on projects in France, Europe, Asia and the USA, and regularly presents technologies and system roadmaps at conferences and workshops. He was awarded a postgraduate degree in electronics and digital technology by Nantes University (France) and a technology research degree by Grenoble Institute of Technology in 2003 and 2004 respectively. He then managed industrial antenna projects for Radiall. He joined Leti in 2006 and worked on electromagnetics, antenna design and propagation research. He presented scientific publications and patents. In 2012 he started as a program manager.